For a good chief investment officer, some topics just never get old. Like: 1) passive vs. active investing, and 2) their most worrisome problems. 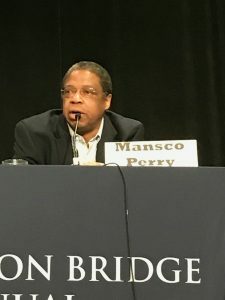 During the final panel at the Pension Bridge conference in San Francisco, Tom Tull, Michael Walden-Newman, and Mansco Perry III were asked about these key topics centered on how they handle their funds’ money. The fund originally was two-thirds active. Now it uses indexes for US stocks and active strategies for global equities. Before then, “I had been a very strong advocate of active management until I had the time to go back and look at about 40 years of our history,” he said. Today, the stock portion of the portfolio is 70% passive. He said the larger the portfolio became, the more he realized the fund had been setting up a “very expensive index fund,” with active managers who tracked benchmarks but charged much more than indexes do. 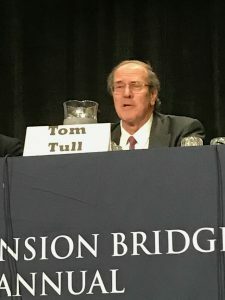 Tom Tull, CIO of the Employees Retirement System of Texas, said he opts for active funds when seeking “areas where we can outperform.” Those include funds that invest in international markets like Japan and in small- to-mid-cap US companies. The fund has added 10 small-cap international managers within the past 12 months and is likely to eventually add emerging managers that complement what they’re doing. “If you are blessed to have an internal group” that can do better than indexes, “it makes sense to generate that active performance,” he said. 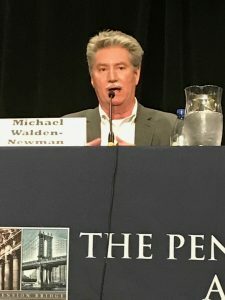 Walden-Newman said he faces no such external pressures as long as he beats the benchmark, which the plan achieves. “With that difference, the legislature is actually on my side,” he said. The three investing pros were also joined by Utah Retirement Systems CIO Bruce Cundick, who requested his answers be off-record.